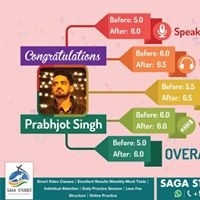 Congratulations #Prabhjot_Singh for incredible improvement in #IELTS from 5.0 Bands to 6.0 Bands. 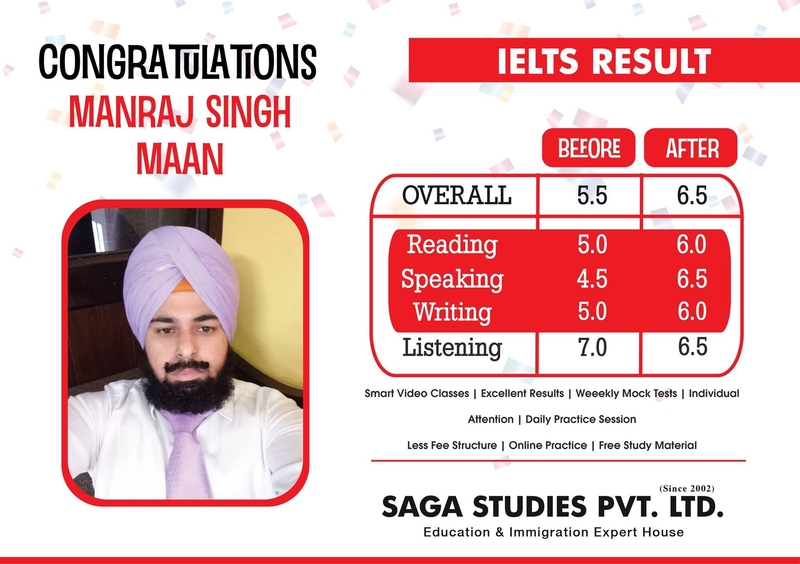 Congratulations #Manraj_Singh_Maan for incredible improvement in #IELTS from 5.5 Bands to 6.5 Bands. 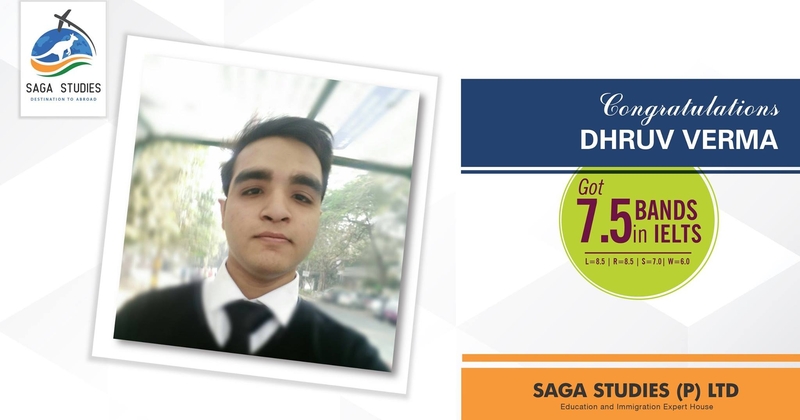 Congratulations #Dhruv_Verma for scoring incredible Bands in #IELTS. 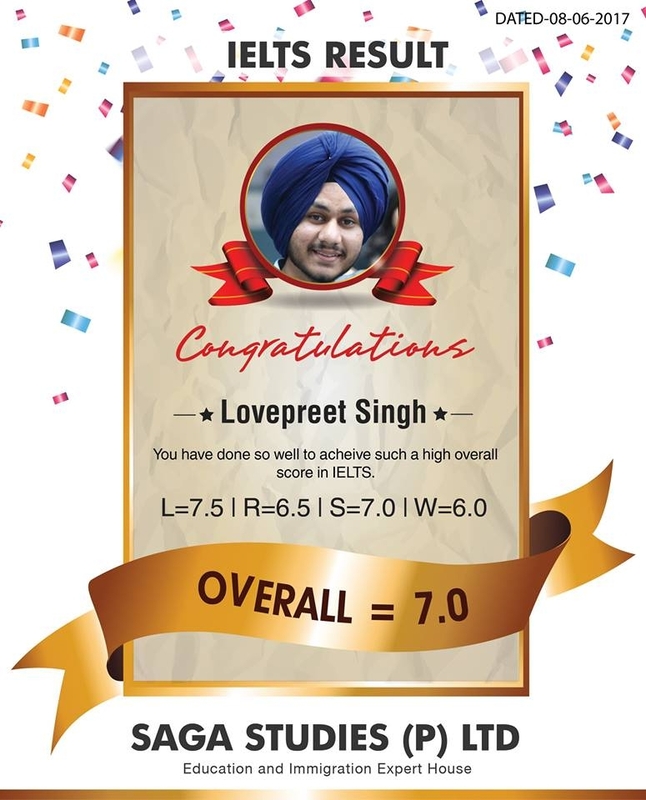 He got overall 7.5 Bands in #IELTS. Today we would like to #Congratulate to our #IELTS Student #Manpreet_Sandhu. 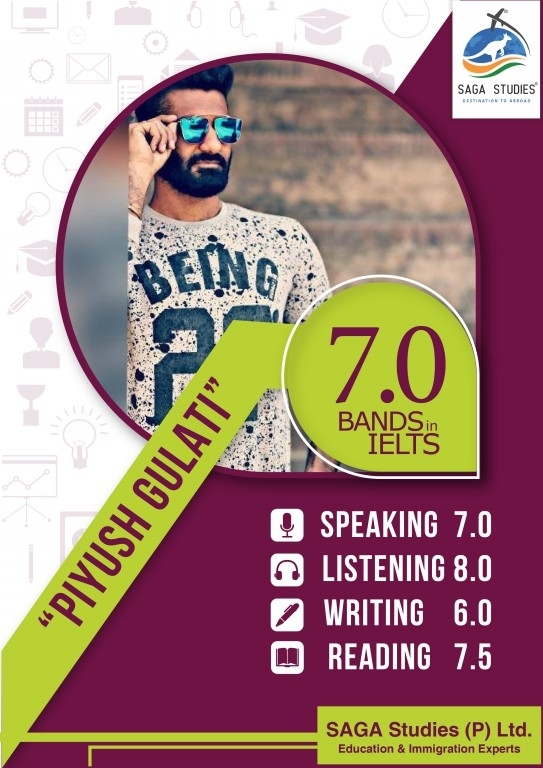 He got overall 7.0 Bands in #IELTS. Today we would like to #Congratulate to our #IELTS Student #Jashanpreet_Singh. 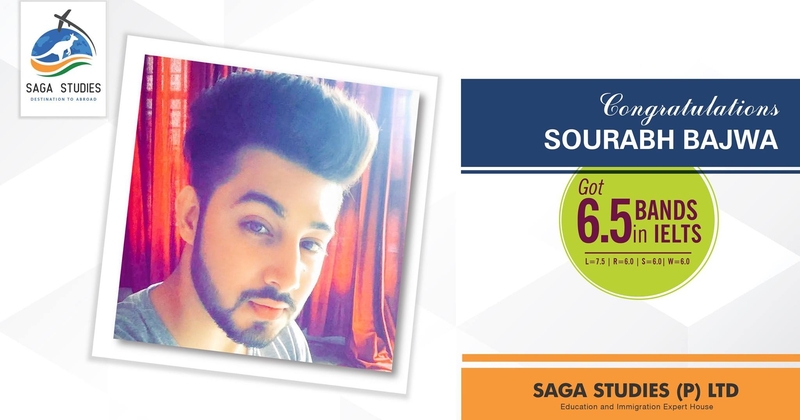 He got overall 6.5 Bands in #IELTS. Today we would like to #Congratulate to our #IELTS Student #Ajaydeep_Singh. 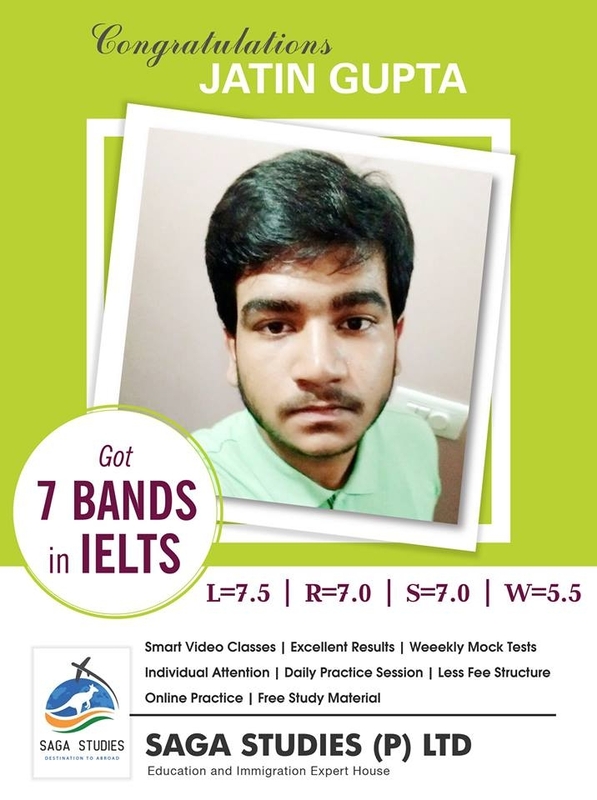 He got overall 7.0 Bands in #IELTS. 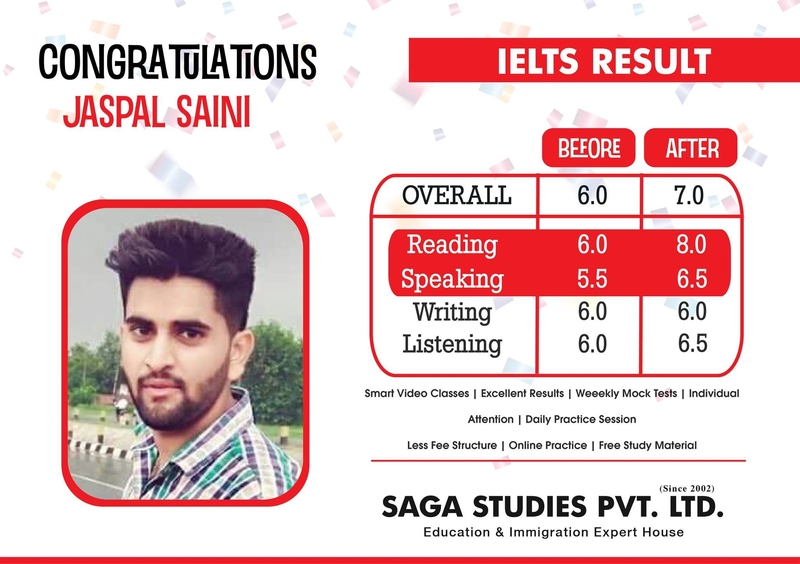 Congratulations #Jaspal_Saini for incredible improvement in #IELTS from 6.0 Bands before coming to SAGA and scored 7.0 Bands after coming to SAGA. He scored 8.0 Bands in Reading module. Congratulations Jatin Gupta for scoring incredible Bands in #IELTS. 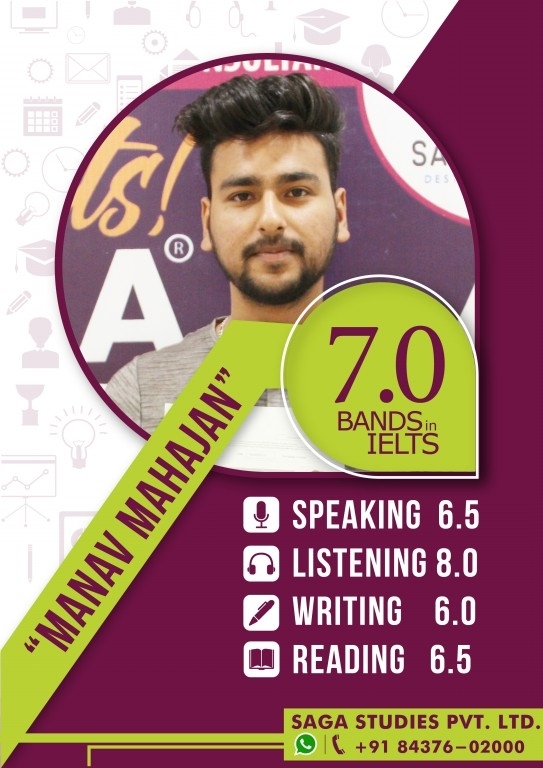 He got overall 7.0 Bands in #IELTS. 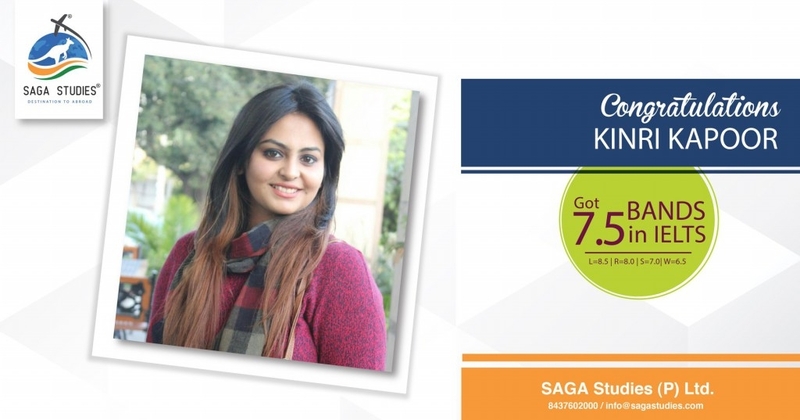 Congratulations Twinklejeet Kaur Sandhu for scoring incredible Bands in #IELTS. 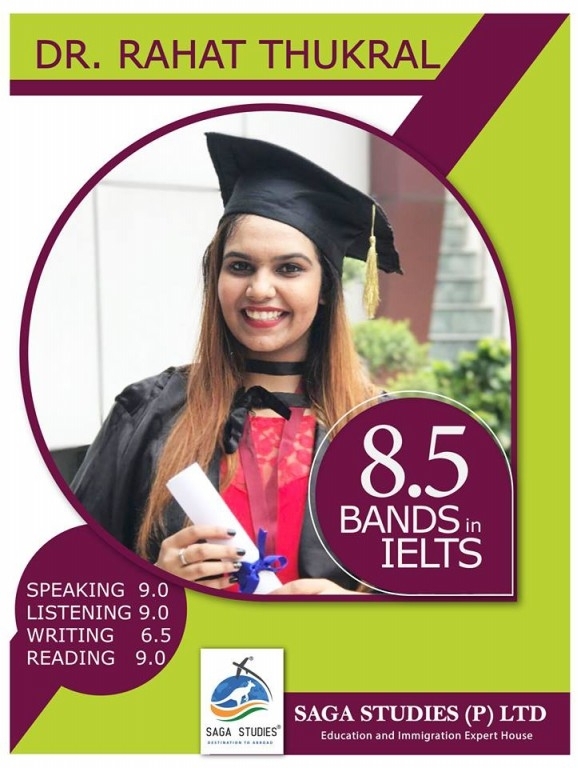 She got overall 8.0 Bands in #IELTS. 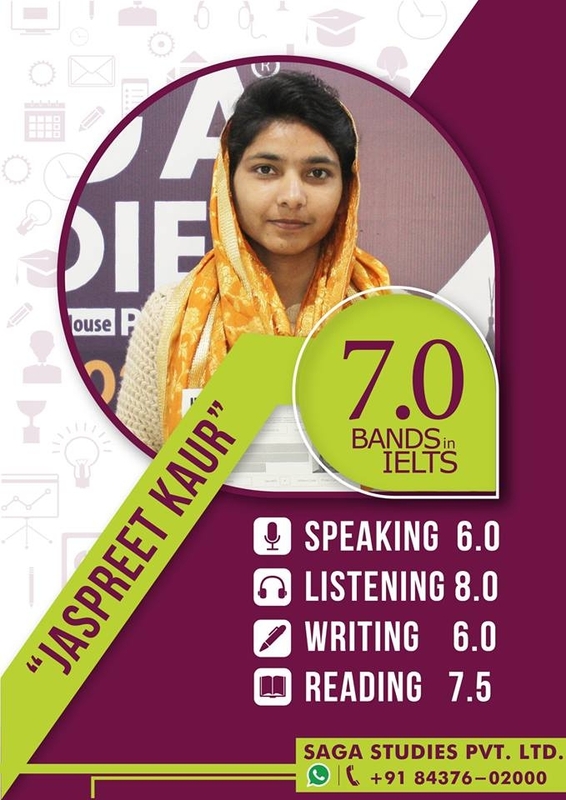 we would like to Congratulate to our IELTS Student Jaspreet_Kaur. 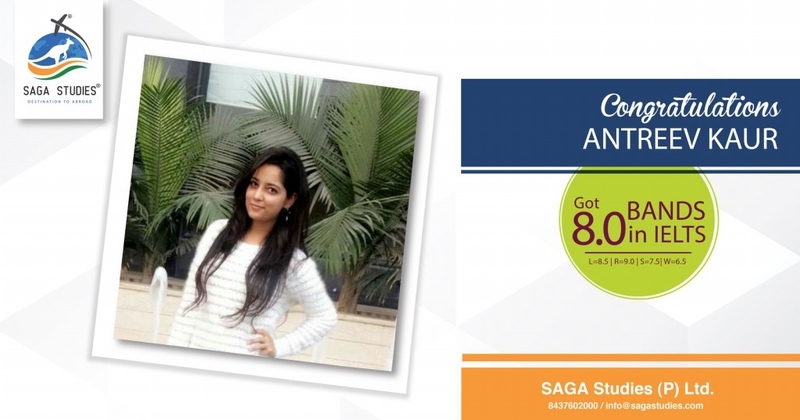 She got overall 7.0 Bands in IELTS with 8.0 in LISTENING module. we would like to Congratulate to our IELTS Student Rishab_Gupta. He got overall 6.5 Bands in IELTS. Today we would like to #Congratulate to our #IELTS Student #Manav_Mahajan. 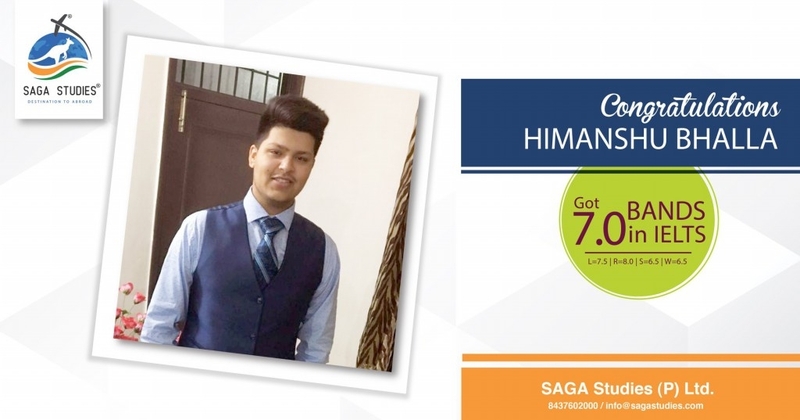 He got overall 7.0 Bands in #IELTS. 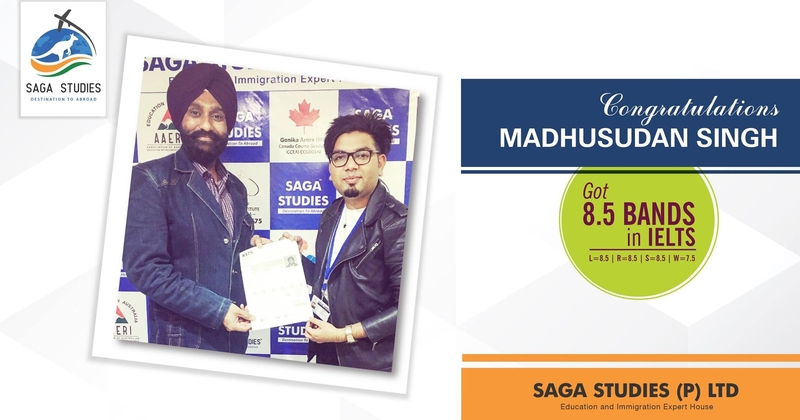 Congratulations Madhusudan Singh Sufi for scoring incredible Bands in IELTS. He got overall 8.5 Bands in #IELTS. Today we would like to #Congratulate to our IELTS Student Sandeep Kaur. 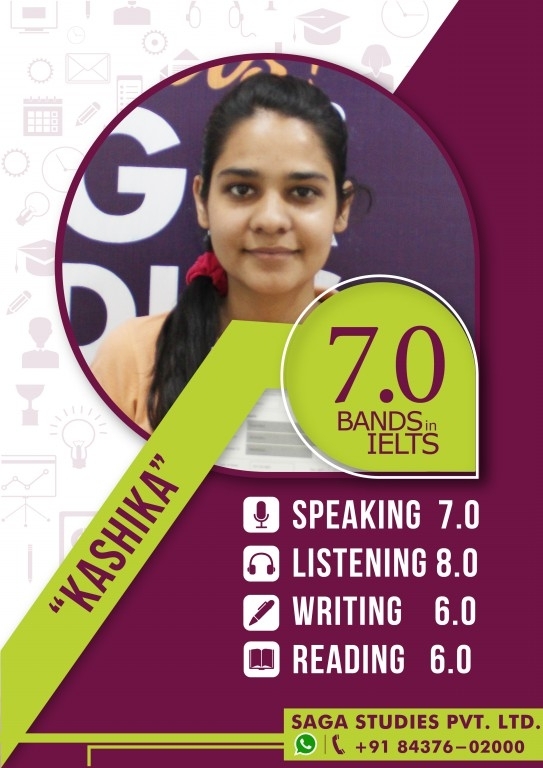 She got overall 7.0 Bands in #IELTS. Today we would like to #Congratulate to our IELTS Student Navdeep Kaur. 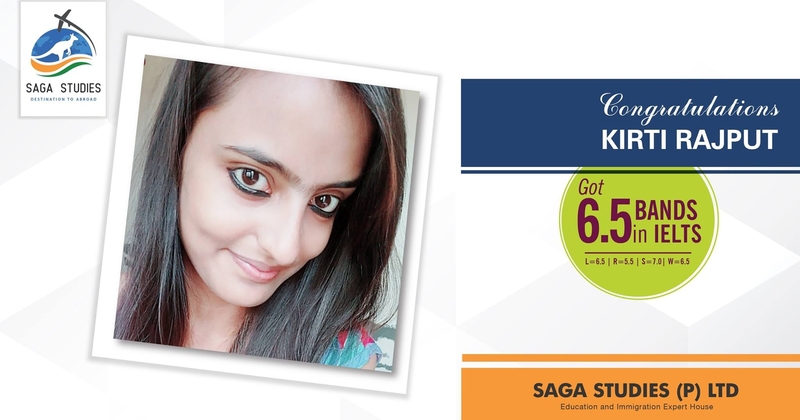 She got overall 6.5 Bands in #IELTS. 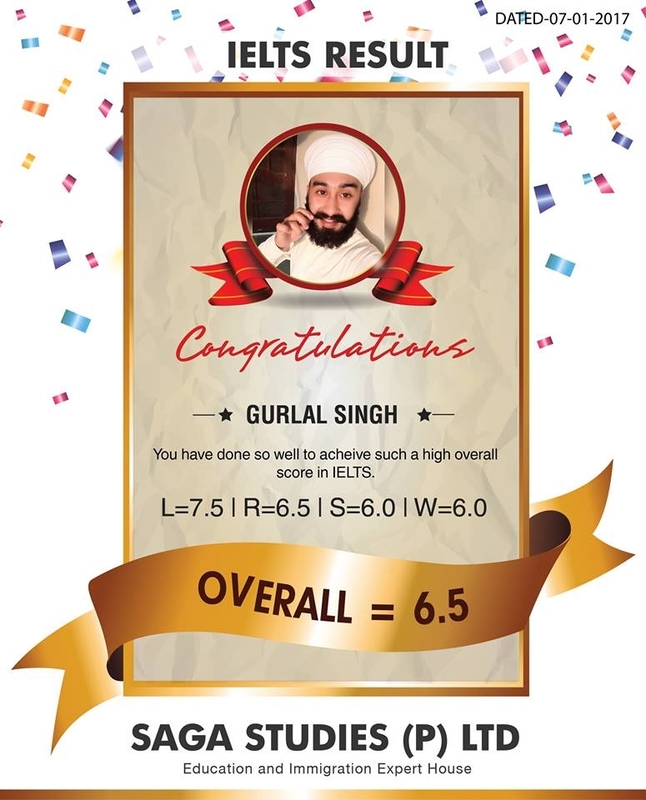 Today we would like to #Congratulate to our IELTS Student Gurlal Singh. 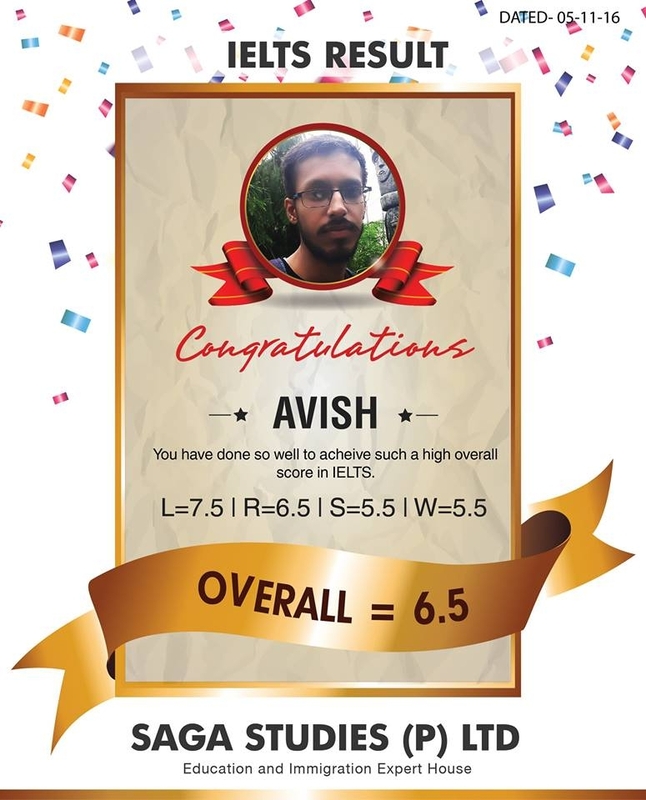 He got overall 6.5 Bands in #IELTS. Today we would like to #Congratulate to our IELTS Student Subhneet Kaur. 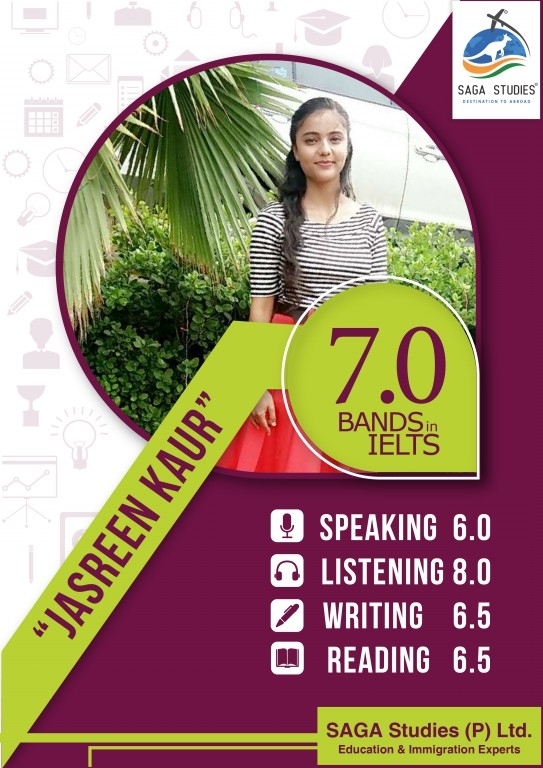 She got overall 7.0 Bands in #IELTS. Today we would like to #Congratulate to our IELTS Student Shivika Mahajan. 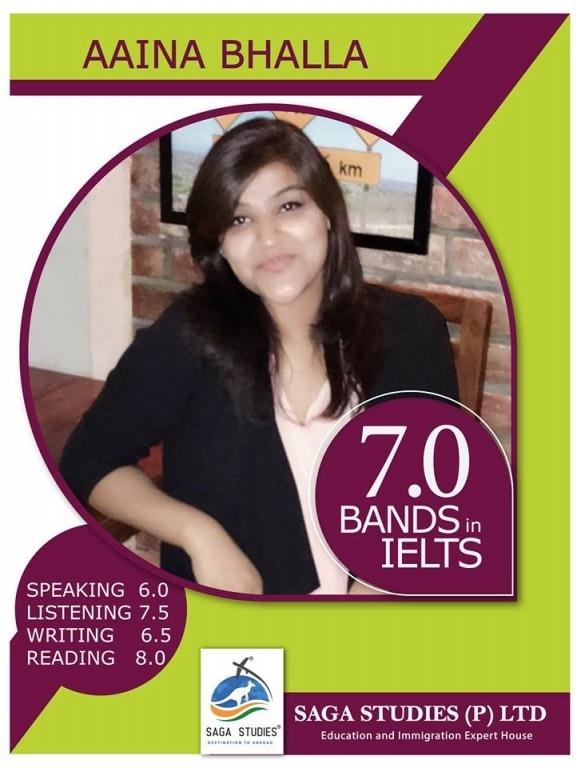 She got overall 7.0 Bands in #IELTS. 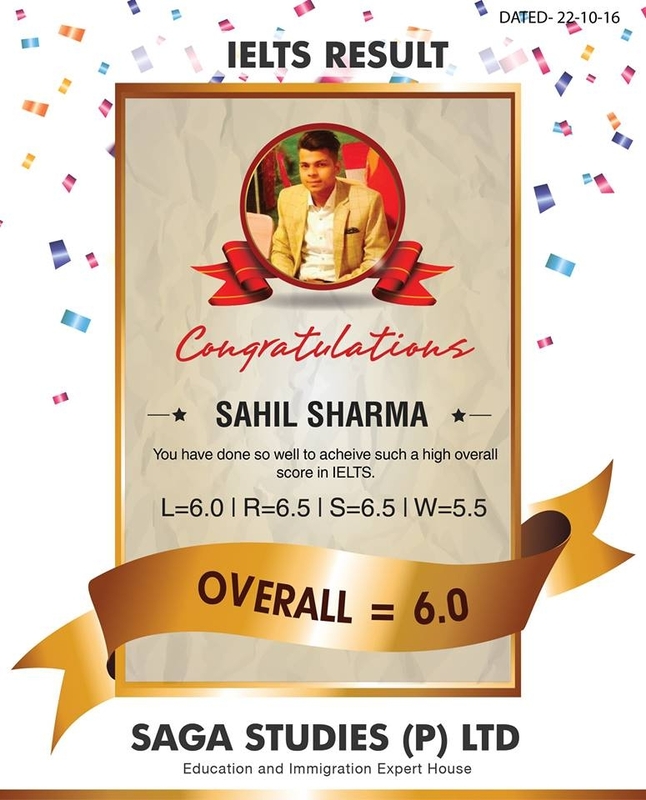 Today we would like to #Congratulate to our IELTS Student Sahil Sharma. 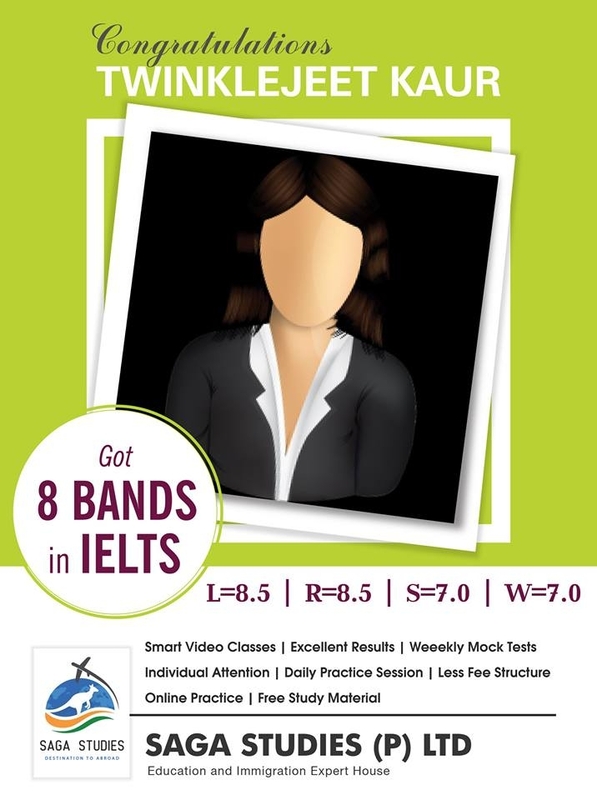 He got overall 6.0 Bands in #IELTS. Today we would like to #Congratulate to our #IELTS Student #Harsh_Kumar. 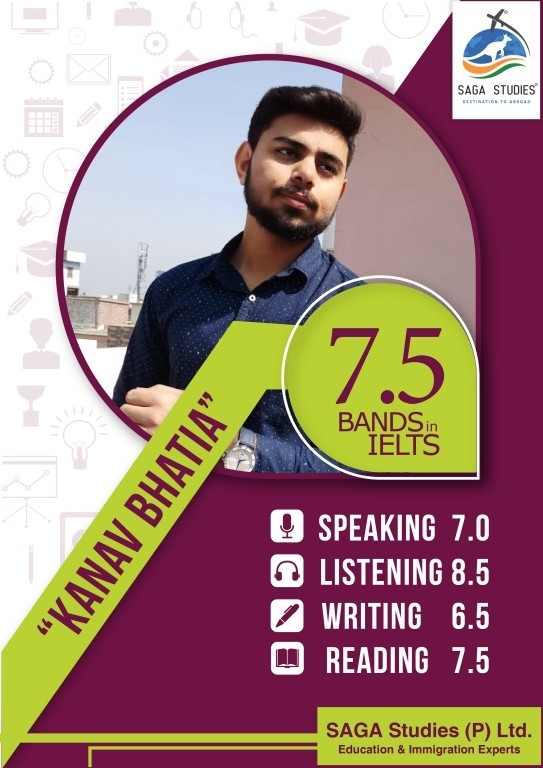 He got overall 7.0 Bands in #IELTS. Today we would like to #Congratulate to our #IELTS Student #Dharamjit_Singh. 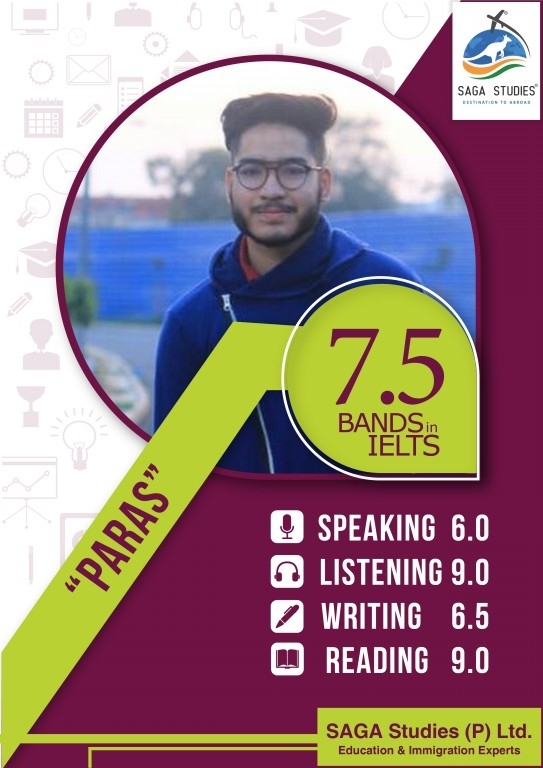 He got overall 6.5 Bands in #IELTS. Today we would like to #Congratulate to our #IELTS Student #Karan_Puri. 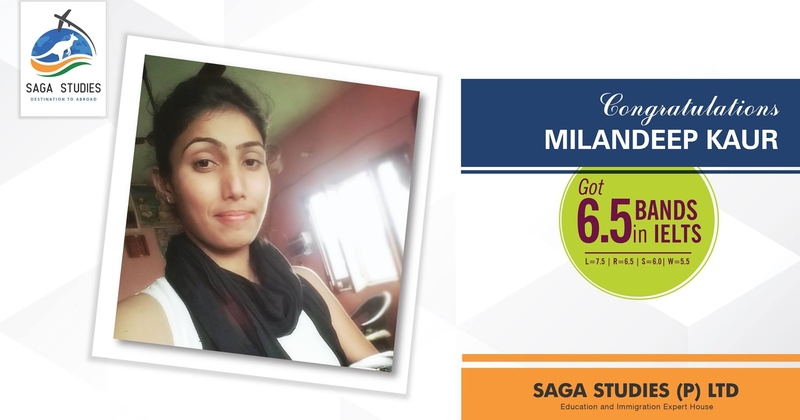 He got overall 6.5 Bands in #IELTS. 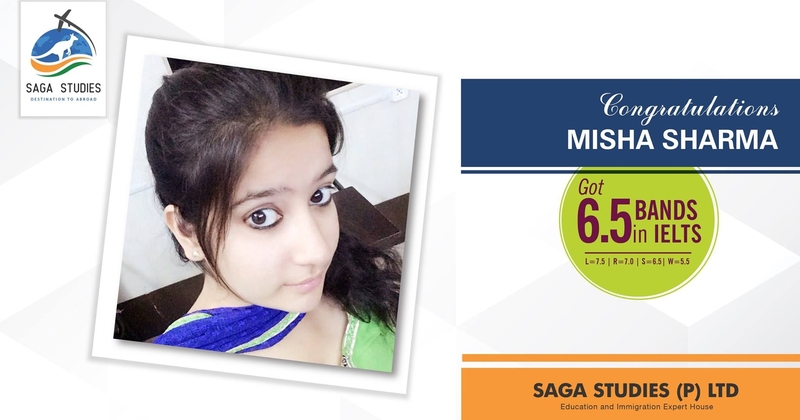 ALL RECORDS BEATEN: #Ravneet Kaur got 9 out of 9 in Reading Module. 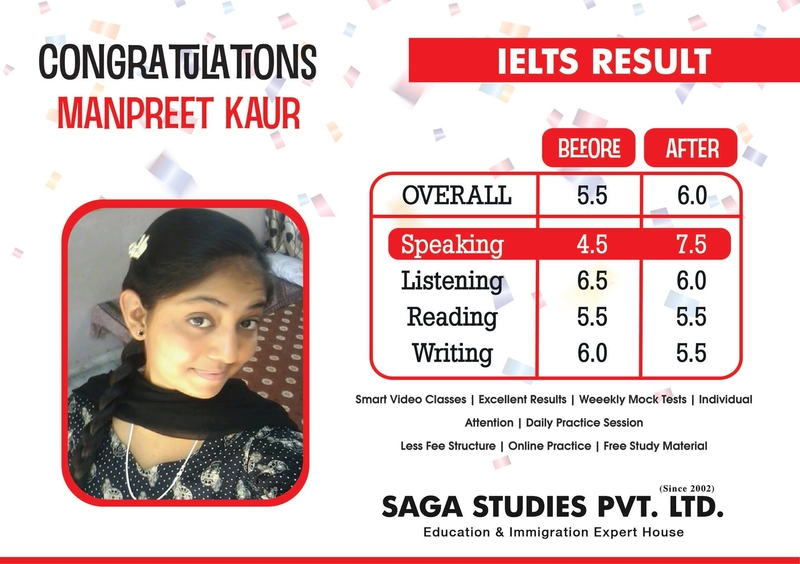 Congratulations #Ravneet_Kaur for scoring incredible Bands in #IELTS. 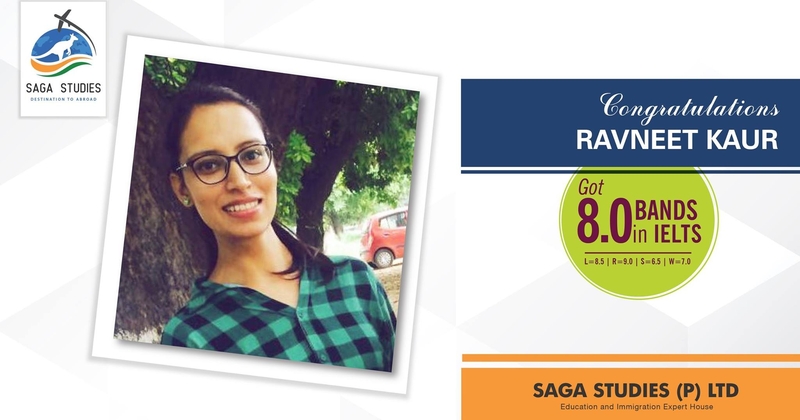 She got overall 8.0 Bands in #IELTS. Today we would like to #Congratulate to our IELTS Student #Harleen_Kaur. 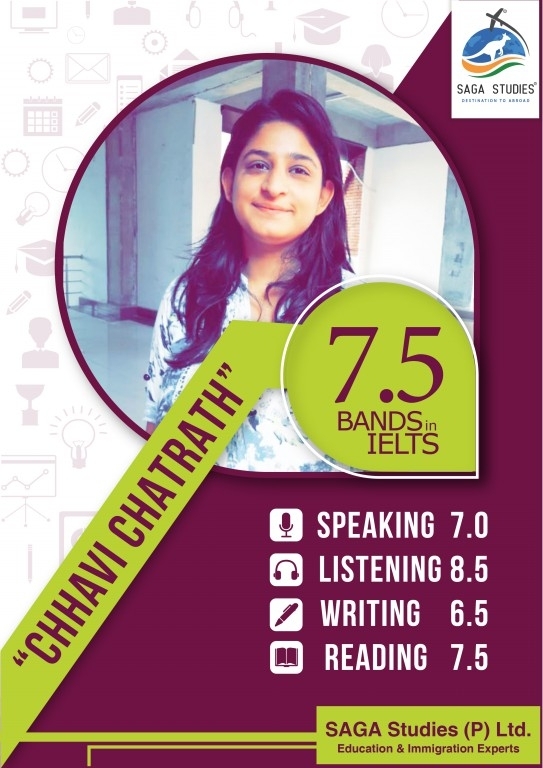 She got overall 6.5 Bands in #IELTS. 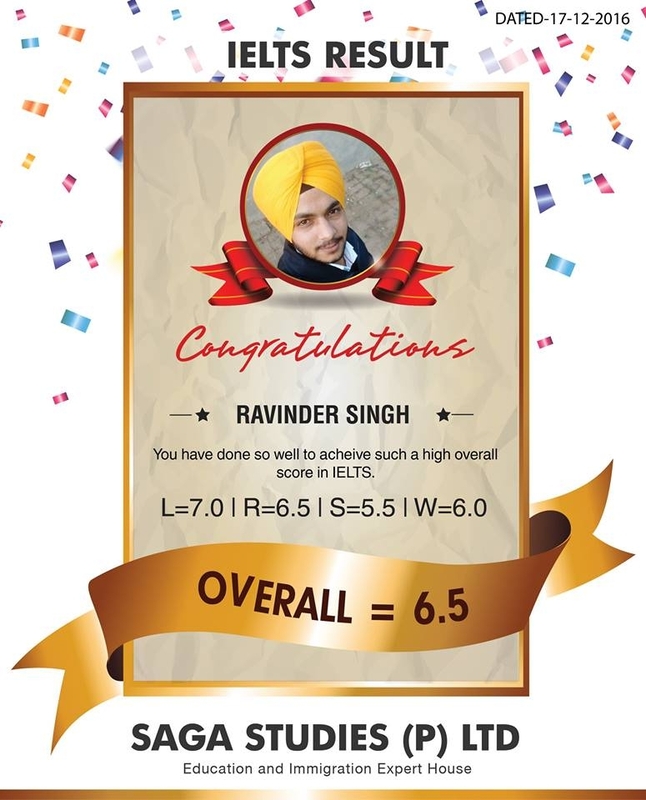 Today we would like to #Congratulate to our IELTS Student Ravinder Singh. 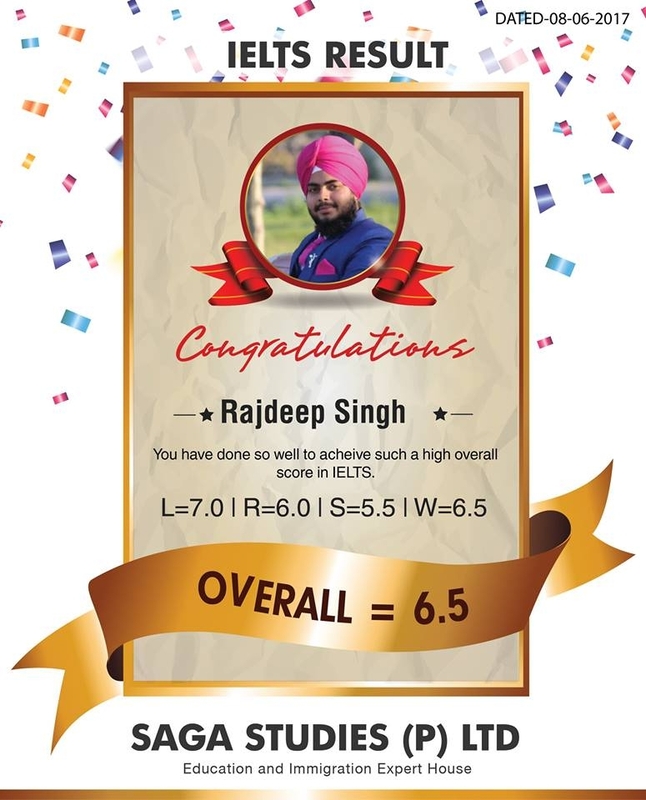 He got overall 6.5 Bands in #IELTS. Today we would like to #Congratulate to our IELTS Student Piyush Gulati. He got overall 7.0 Bands in IELTS. Today we would like to #Congratulate to our IELTS Student Robanjeet Singh. 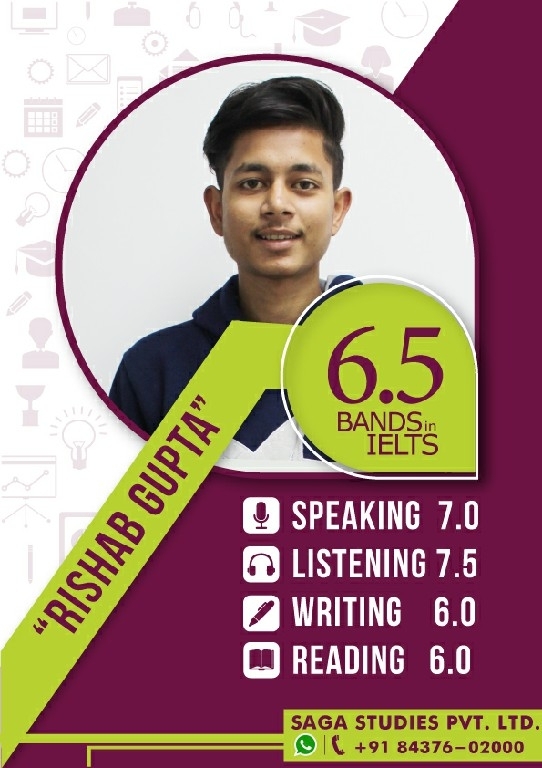 He got overall 6.5 Bands in #IELTS. Congratulations Manpreet Kaur for incredible improvement in Ielts Speaking from 4.5 to 7.5 bands.